Don't let the birds fly away with your lunch at a picnic. 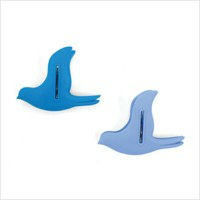 Have them work for you, keeping everything sealed up nicely with our bird bag clips. Alfred Hitchcock would be proud.